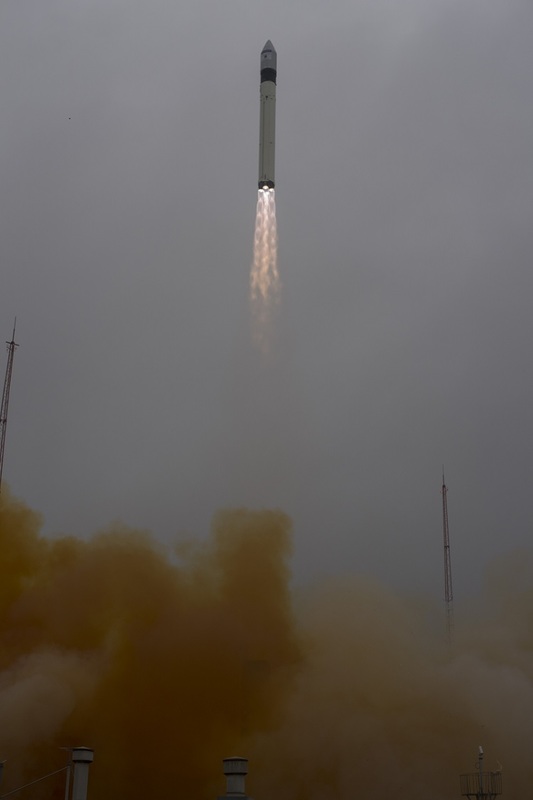 Launch of the rocket containing the Sentinel-5P satellite. Data courtesy of ESA–Stephane Corvaja, 2017. Over the last few years the number of satellites being launched has increased dramatically, driven by the rise of smaller satellites. This increase has also led to a logjam in available launch vehicles, which in turn has opened the door to new launch facilities been developed – and now the UK is entering this market! Last month the Government announced that Sutherland on the north coast of Scotland would become the country’s first spaceport to offer a vertical launch site for rockets and satellites. Initial funding of £2.5 million is being provided to develop the facility with the intention that it’ll be ready to launch satellites early in the next decade. As a south-west based business we were delighted that Newquay Airport in Cornwall announced in the same week that they’d signed an agreement with Virgin Orbit to offer horizontal launches from 2021. Virgin Orbit will use their LauncherOne vehicle, via a modified Boeing 747-400, as a launch facility from the Cornish Spaceport. It’s also hoped that this type of site can offer sub-orbital flights and facilities for spaceplanes; and the Government indicated that other sites such as Prestwick and Snowdonia could also offer these facilities. These are for rockets, or similar vehicles, which launch directly upwards into the sky – as shown in the image at the top. The rocket carries the satellite up into the Earth’s atmosphere and then the initial fuel and rockets required to beat the Earth’s gravitational pull break off, leaving the final set of rockets to put the satellite into the right part of space. This is the most common form of launch vehicle, particularly for larger satellites although the method also launches smaller ones. The Indian Space Research Organisation (ISRO) set a world record last year launching 104 satellites in one flight using its Polar Satellite Launch Vehicle. Scotland won’t be alone in trying to capitalise on the increase in demand. ISRO itself announced last week that a PSLV rocket will be launched in September, which will be dedicated solely to launching foreign satellites; with two UK Earth Observation satellites expected to be the first payload. Horizontal launches tend to combine an airplane taking off from a runway, carrying a rocket or similar launch device underneath. The aircraft travels into the atmosphere and then ‘drops’ off its rocket which fires and takes the satellite to its relevant orbit. This form of launch is much more suited to smaller satellites, although it is not unheard of launching larger satellites this way. The ocean colour SeaWiFS satellite was launched in this manner, via the Pegasus rocket, in 1997 – you can see a longer video of this launch here. The advantages of this method is that it’s possible to launch from a variety of sites as the plane can fly to an optimum release point, particularly useful if bad weather is about – something the UK knows all about! The disadvantages are the payload; the aircraft don’t get into space and so there is still a need to have a significant amount of fuel and propulsion to break the Earth’s gravitational field, which limits the weight of the satellite that can be carried. Of course, with the development of smaller satellites these limitations are significantly reduced; and new technology is looking at planes higher into the atmosphere before releasing the rocket, again reducing the amount of fuel and propulsion needed. An option developed from the innovation of cubesats is deployment from the International Space Station (ISS). Essentially, a series of cubesats are delivered to the ISS in soft sided bags and then are deployed into orbit via a robotic arm, which essentially drops the satellite into space at the relevant orbit. For example, some of Plant’s Flock constellations were deployed in this manner. Although not technically a launched satellite, it is worth highlighting HAPS which have been around since the 1990s and are essentially fill the gap between drones and satellites. They are platforms that operate over very-long duration flights, such as months or even years. They tend to be in a geostationary orbit, fixed over one point, at around 12 miles above the Earth. They are manoeuvrable, easier to launch and cheaper than satellites. These are some of the ways in which satellites can be launched today, although it is clear that as the type of satellites being put into orbit evolves, so do the launch methods. Who knows what the future might hold, and perhaps more interesting for the UK is whether the vertical or horizontal approach is the way to go. This entry was posted in Earth Observation, ESA, NASA, Remote Sensing, Sentinel, Space Industry, UK Space Industry, Understanding Space and tagged Cornwall, Cubesats, HAPS, high altitude pseudo-satellites, horizontal satellite launch, International Space Station, ISS, Newquay, satellite, satellite deployment from ISS, Scotland, Small satellites, Space, Sutherland, UK, United Kingdom, vertical satellite launch, Virgin Orbital by Andy. Bookmark the permalink.